This entry was posted on Monday, October 17th, 2011 at 20:41 and is filed under Call To Action, Government Reform, News, Politics, Restoration. As a follow-up to my post Boiling It Down, This Is What You’ve Said, where we discussed first principles, it’s now time for we conservatives to talk about the particular issues on which we agree. I notice that there is a fairly libertarian streak in most of what you’ve offered, which suits me just fine. Let’s see what sense we can make of all of this. One of the things you’ve told me in various forms is that you want a platform of issues that are positive actions, rather than a bill of all the things against which you stand. It’s true that there are certain things against which we must all align, but the truth is that most of you would rather see issues in which we are for something, rather than merely against something, which seems to be the reactive role into which Conservatives are all too frequently shoe-horned. You are for a massive overhaul of the tax-code, in part by repeal of the 16th amendment, and by then instituting some other form of tax with some specific limits enshrined in the constitution. I don’t think any person who responded expressed any sort of support for our current tax code or system. Many of you referenced the gargantuan compliance costs for the entire economy that ultimately produce no net wealth. You are for a balanced budget amendment that will severely curtail the run-away spending of government, with no recourse to additional taxes, but instead to some form of line item veto. A line-item veto amendment was popular. You are for the national defense, but not wastefully so, in either men or material, and you are for defending our few actual allies around the globe. You are all some flavor of pro-life, those of you who mentioned the abortion issue, although there were some differences on any exceptions. You are for a return to strict constitutional adherence. There is a half-page of agencies and departments of the federal government you would like to see eliminated. Those that showed up most frequently in your comments and emails are: Department of Education, EPA, and Department of Energy. Let’s call them the three E’s of disaster, because nearly all of you wanted these three gone, at a minimum. Virtually all of you wish to see the repeal of Obamacare, with the only replacement being what I would term a de-regulation of health insurers so that they can compete across state lines, among other things. You want the borders secured, and most of you have no sympathy with the notion that “we can’t deport 12-20 million people.” Your idea seems to be that while we won’t do so in one day, or even one year, we need to take away the reasons illegals come to the US by instituting a uniform set of rules with respect to benefits and employment. You also want the practice of “sanctuary cities” specifically banned and all federal grants to cities which adopt that policy denied. You want the government out of medicine except perhaps for veterans, and there is some variation on Medicare. 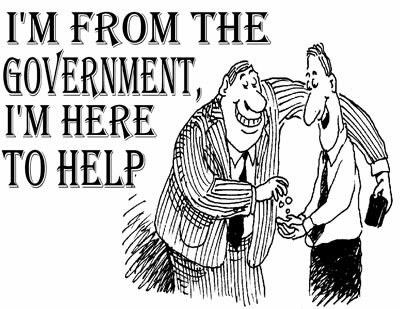 What you seem to want most in the medical care arena is government to take its nose out of it. You have varying opinions on social security, although there seems to be a sentiment if not universally held, than held by a clear majority of opinion that the program is fatally flawed, probably unconstitutional by a strict yardstick, and certainly in need of overhaul. At least two people suggested that while they believe the program to be unconstitutional, they suggested amending the constitution to include it long enough to phase it out over twenty years. Some of you actually said you’d be willing to do without it in the future if you could stop paying into it now. There were a number of differing opinions on issues like gay marriage, and assisted suicide and such things, but all in all, the bulk of the comments and suggestions were in relative agreement on most issues. Of those who spoke of foreign policy, almost all of you wanted a radically reduced American role in any sort of global alliances like the UN. From there, proposals differed radically, but one thing surfaced repeatedly: You want the United States to continue its support of Israel, with only one exception. There was near unanimous support for term limits, although ideas on how long varied. I saw a suggestion for a maximum of six terms in the House, two terms in the Senate, while leaving the President as is. There was one that suggested nobody needed to serve more than a single term as President. There was one that I found interesting suggesting that we should have a total of twenty years federal service for elected officials, but that the presidential term limit still ought to apply. The idea was to discouraged lengthy federal careers, giving the edge to people from the states to move up. More than one of you suggested that staff be term-limited just like the officials under which they serve. It was a mixed bag of ideas from very sedate and practical to much more radical and creative. Speaking of ‘radical ideas,’ the number of you who thought it would be a good idea to reform the Federal Reserve system, or abolish it outright was rather high. I always knew that conservatives never really liked the Federal Reserve, but I figured this to be mostly a libertarian position. Apparently, that’s not at all the case. You want a stable currency with a stable store of value providing its backing. Most of you wanted the bulk of the welfare state eliminated, particularly for able-bodied people. You wanted strict lifetime limits. You wanted to see cash and cash-like subsidies replaced with food allotments to discourage widespread fraud. Three of you expressly called for a requirement to establish paternity of any child for whom support would be claimed. You wanted work and savings and thrift to pay. Four of you suggested eliminating the minimum wage outright, citing its negative effects on total employment and inflation. Most of you thought our energy policy is a joke. You think the government is discouraging rational energy ideas while subsidizing what some of you called boondoggles(“green energy” and ethanol subsidies) and others among you called corporate welfare. There were a few other things you expressed. Most of you were in favor of harsh punishments for corruption. Almost all of you favored a federal death penalty, those who mentioned it. Anybody who mentioned “affirmative action” did so in the negative. There were various opinions on drug legalization, some strongly against, and a couple strongly in favor. Everybody was angry about debt growth and deficit spending. That’s covering a lot of ground, and I hope you’ll help me with the next step in this. What I’d like to do is get your help in prioritizing these things. So, here’s what you can do: Select your top five, in order of importance, and if you think there’s something not mentioned here that must be mentioned, make it number six on your list, and I will add it for the second round. I think this gives us a good toe-hold on this cliff, but it’s a long and treacherous climb ahead. I expect there will be disagreements, but the general sentiments expressed suggested to me that you’re mostly willing to work around some issues in favor of your most important priorities. Much of what you’ve offered comports well with what I’ve seen of Tea Party doctrine, insofar as I know it, and you all seem willing to give this a go. I want to thank all the respondents who filled my inbox, and submitted comments. Mark, I feel remiss that I didn't submit a list of the things that I'm in favor of, such as you describe in this missive. But, I didn't do so as it seems to me that federalism trumps almost all of the above. If the 10th amendment is returned to it's proper role, most of the things listed above again become NO BUSINESS of the federal government and, IMO, that's as it should be. In the list you outlined, I see lots of "I don't like THEIR rules but would want to put MY rules in place instead!" Not much federalism in what you've described above. My wish list is short … Reinvigorate the 10th amendment. Repeal the 16th and 17th. Restrict the Judicial to their proper role as a CO-EQUAL branch of the federal govt. Judicial supremacy (a la Warren) is a BIG part of our problem. Securing our borders is important, but if we don't stop all the freebies(ie. free breakfast, free lunch, free daycare or public school, food stamps, housing assistance, welfare for anchor babies, free medical),with no strings attatched for those who come here illegally, and even legally, they will always find a way. These are just a few examples of how our govt. makes it far too appealing to come here. It's not just jobs!